Very many people are asking us at the moment about whitening/bleaching of teeth. 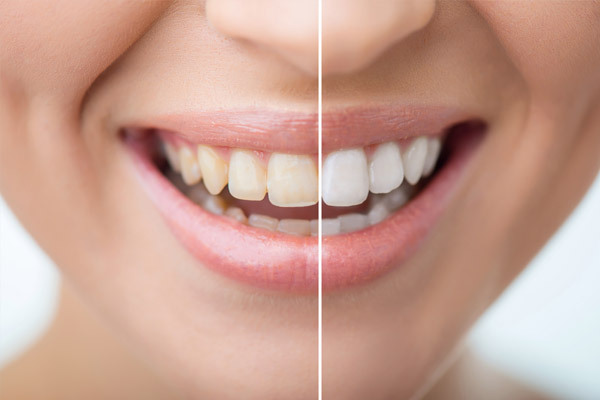 This is a process, different from the so-called whitening toothpastes that only help to keep the surface of the teeth clear of staining, and which actually lightens the intrinsic colour of the teeth from within. The only people LEGALLY allowed to carry out TRUE tooth whitening treatments in the U.K are Dentists. Cheaper tooth whitening treatments are available by some beauticians and online illegally. However, some of these kits are at best ineffective at worst damaging. Each person needs to be assessed as to their suitability for whitening, there are many clinical factors that need to checked initially. Health comes first. In our practice we can offer you safe, effective tooth whitening, using approved materials. This can take the form of self-applied gel in close-fitting trays at home or a stronger gel applied by a dentist in the surgery, depending on your needs and preferences. Our tariff currently starts at £250.